Want to know a way to get your message to more of the right people with less effort, all from the comfort of your home office? Would you like to build great relationships while you do that? Do a little work to get yourself as a guest on different podcasts. Podcast hosts are always looking for new, interesting guests. Minette and I got some great information for ourselves – and hopefully you too (!) 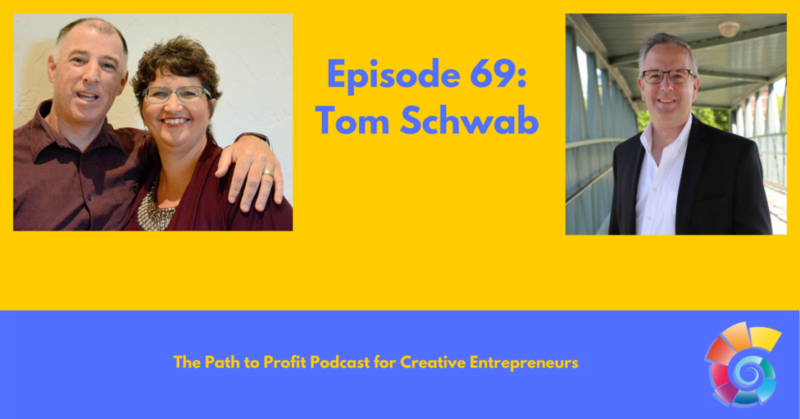 – from Tom Schwab in this episode about becoming a podcast guest. He had great tips and also models this with his own business, showing just how much referral business is possible from the relationships he builds by being a guest. Tom Schwab knows how to build a business online. Marketing at its heart is starting a conversation with someone who could be an ideal customer. 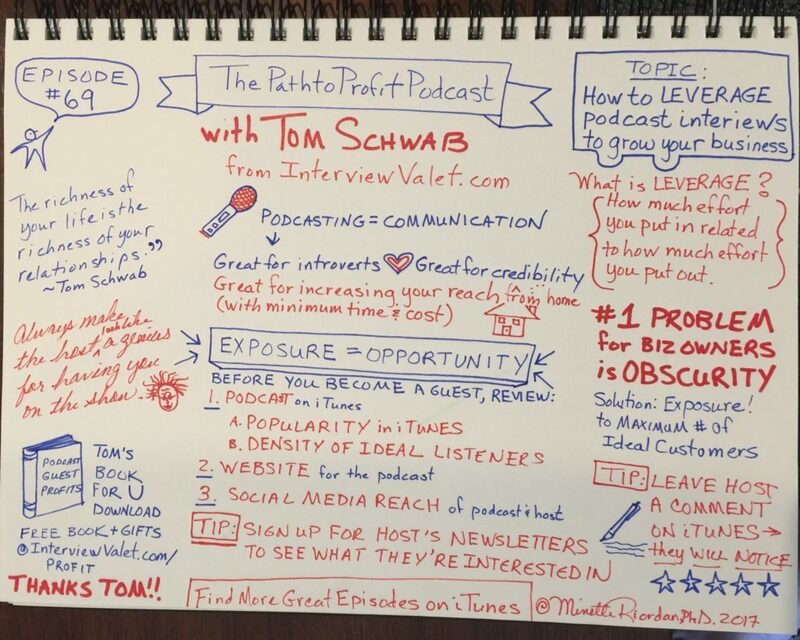 Tom helps thought leaders: authors, speakers, coaches, and brands get featured on leading podcasts their prospects are already listening to. Then he shows them how to turn listeners into customers.